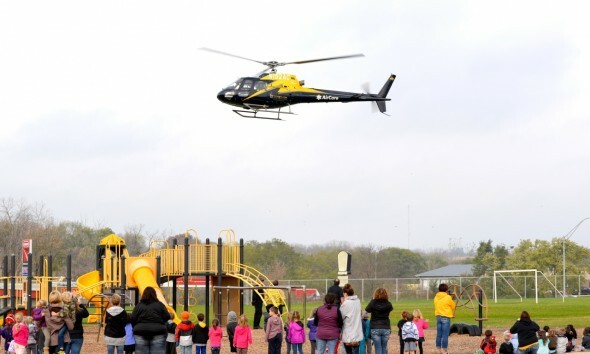 While yellow school buses are common, it’s not everyday a helicopter lands at school. 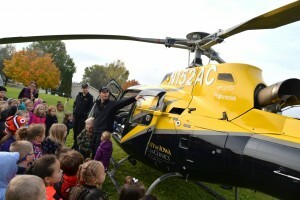 On Friday, Oct. 28, Mercy Medical Center – Dubuque’s AirCare 3 helicopter landed at Hoover Elementary School to the delight of students. The flight crew then talked to students about the helicopter and their work, with students having an opportunity to sit in the helicopter. 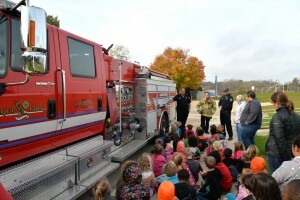 The aircraft joined Engine Company 502 from the Dubuque Fire Department, which provided fire safety information and vehicle tours to students. Thanks to both Mercy Medical Center and the Dubuque Fire Department for an exciting morning at Hoover!